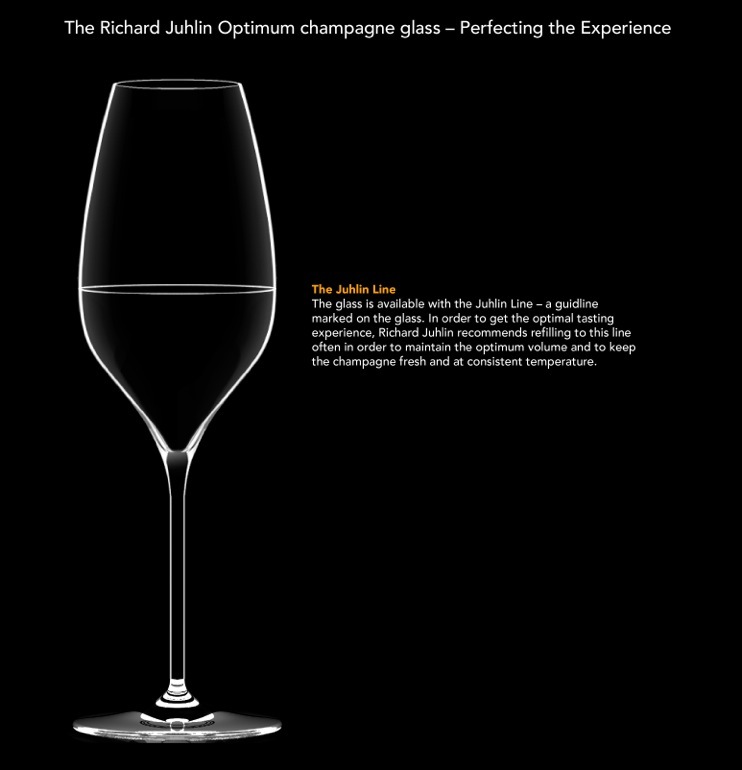 The Italian Glassware & Tableware Company, Italesse presents Richard Juhlin ‘Optimum’, the dream of perfection – The history of the RJ Optimum glass is founded on a dream. Possibly Italesse’s greatest dream ever: to create the perfect Champagne glass. Based on the intuition of Italesse, the RJ Optimum took shape thanks to the collaboration of Richard Juhlin, one of the top international Champagne experts, and Claesson Koivisto Rune, one of the most appreciated design firms in the world. 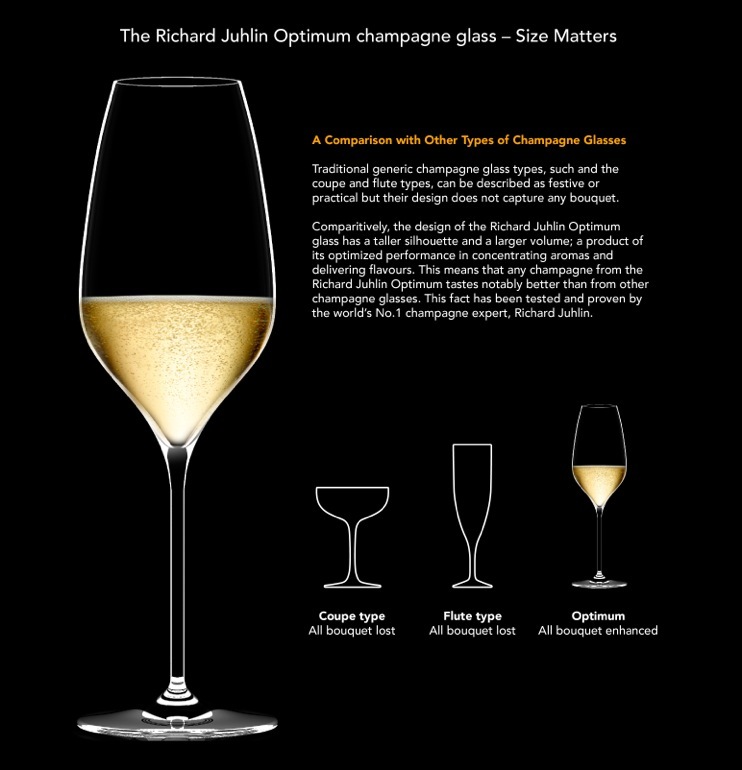 More than a simple glass, the RJ Optimum is sure to become an icon for Champagne enthusiasts. 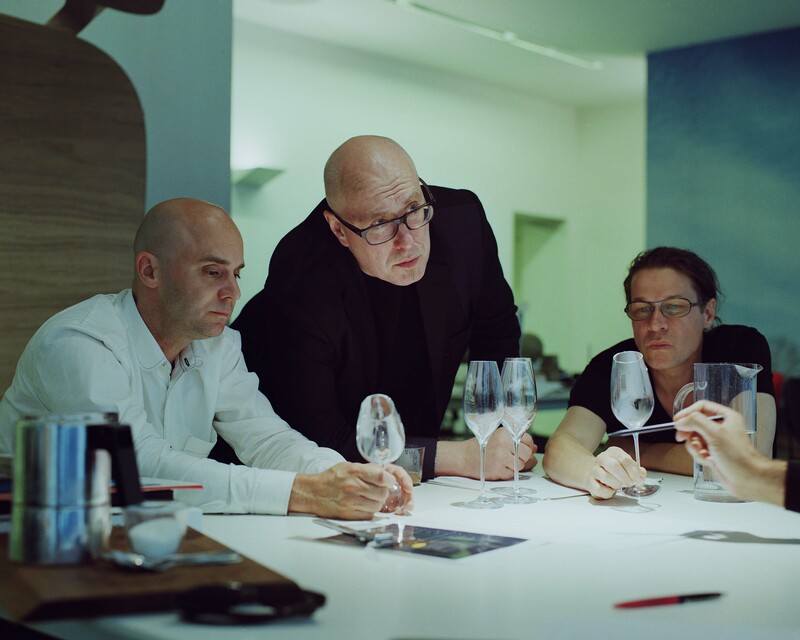 A new project dedicated to the world of Champagne realized with an extraordinary team composed of designers Claesson Koivisto Rune, the worldwide Champagne expert Richard Juhlin and taking advantage of Italesse 35 years experience in the field of Premium Glassware. Not to forget the relationship with some of the most prestigious Champagne Maisons developed during the last two decades. THE PROJECT – that will be formerly presented during an event planned on November 20th at Le Jardin Les Crayères in Reims – consists in a very sophisticated glass conceived for the perfect tasting of Champagne. Studied in every single detail, the glass is the perfect combination of functional details and minimal shapes to offer a unique tasting experience for both Champagne experts and novices. Italesse closed the year 2014 with a main event in the company’s history, perhaps one of the most important and ambitious projects ever undertaken: the presentation of the perfect glass for tasting Champagne. A challenge from a technical, formal and design standpoint which Italesse has dealt with through an extraordinary work of synergy between Richard Juhlin, the ‘nose’ for Champagne par excellence, the trio of designers and architects Claesson, Koivisto and Rune, the minds behind of the world’s most celebrated design firms, winners of numerous awards, including the Red Dot Design Award (Best of the Best 2013) and Designer of the Year 2013-2014 (Elle Decor) and, of course, Italesse, a company with over twenty years of experience working side by side with some of the more prestigious Champagne Maisons, able to develop technical know-how of an extremely high level. A concentrate of expertise that has breathed life into Optimum, a glass studied down to the smallest technical and formal detail in order to turn the tasting experience into a truly memorable sensory experience. Following the strong indications provided by Richard Juhlin, extremely able in cataloguing Champagne tastes, fragrances and shades thanks to his one-of-a-kind olfactory sensitivity, Claesson Koivisto Rune have managed to complete the arduous task of ‘translating’ the technical suggestions into an ideal stem glass, featuring perfect proportions and essential lines. 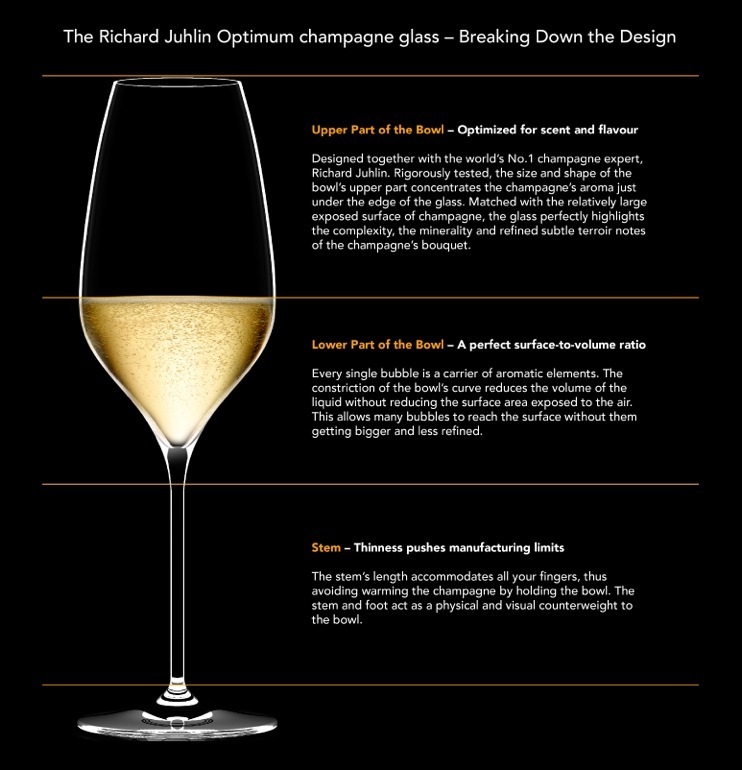 THE GLASS The Richard Juhlin Optimum is the ideal glass for Champagne. It possesses a delicate and precise equilibrium between height, bowl diameter and piqûre that render it the perfect technical tasting instrument. The dramatic curve at the base of the bowl gives the glass a distin- ctive, contemporary edge. Perfect for professionals and amateurs. Conceived by Richard Juhlin, the ultimate Champagne expert. 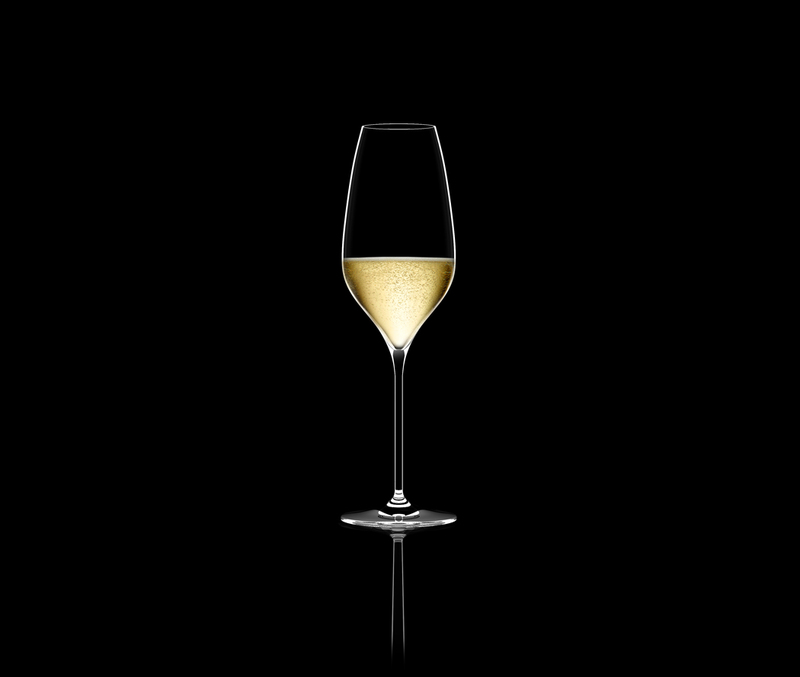 The skilful balance of the height and width of the bowl, the closing of the glass rim – proportionally studied with respect to the bowl angle, the depth of the piqûre and of the perlage point, the sublime quality and lightness of the glass, perfectly distributed, guide the aromas and fragrances of the Champagne towards the nose with the right intensity, for unparalleled tasting. 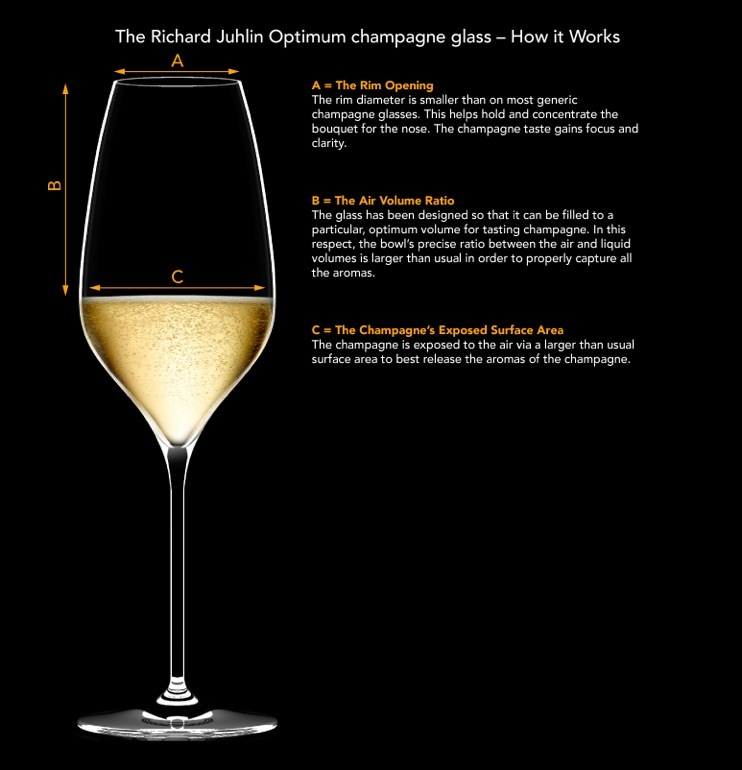 Richard Juhlin has moreover optimized the serving level of the Champagne in order to obtain the maxi- mum sensorial experience.This line – called the Richard Juhlin Line – is available in a special edition of the Champagne glass. At the taste test, Richard Juhlin was enchanted by his own creature. 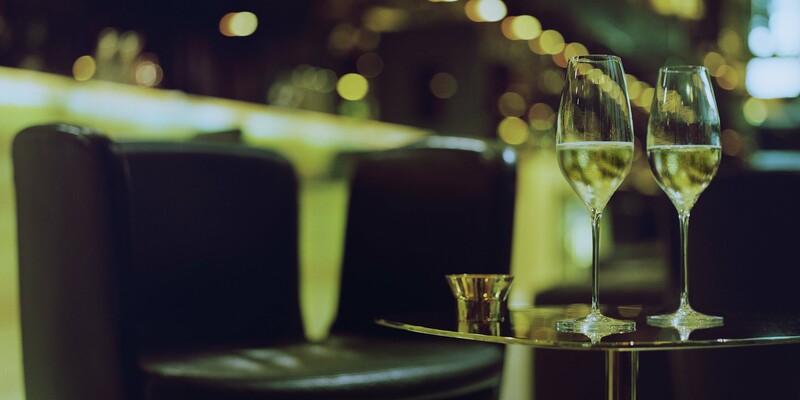 The Optimum glass, in fact, offers the experience of state-of-the-art tasting, ‘the Champagne opens up perfectly, I can taste all of its com- plexity and delicacy’, stated Richard Juhlin. 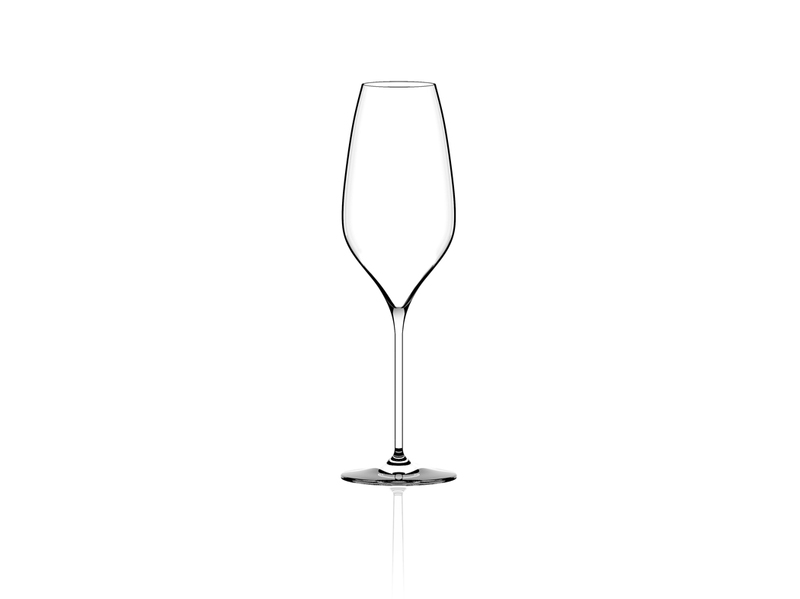 Lastly, the unique design, which can be seen in the sunken curve at the base of the glass, makes Optimum an icon for Champagne lover, beyond fads, combinable with any other line of wine and water table glasses and stem glasses, elegant and minimal, formal and modern. PERFECTION IS IN THE DETAILS The skilful balance between height, mouth diameter and bowl width, for perfect ta- sting. And then its design rendered unique by the intuition of the inward curve. MOUTH DIAMATER The rim is proportional to the height and angle of the bowl. 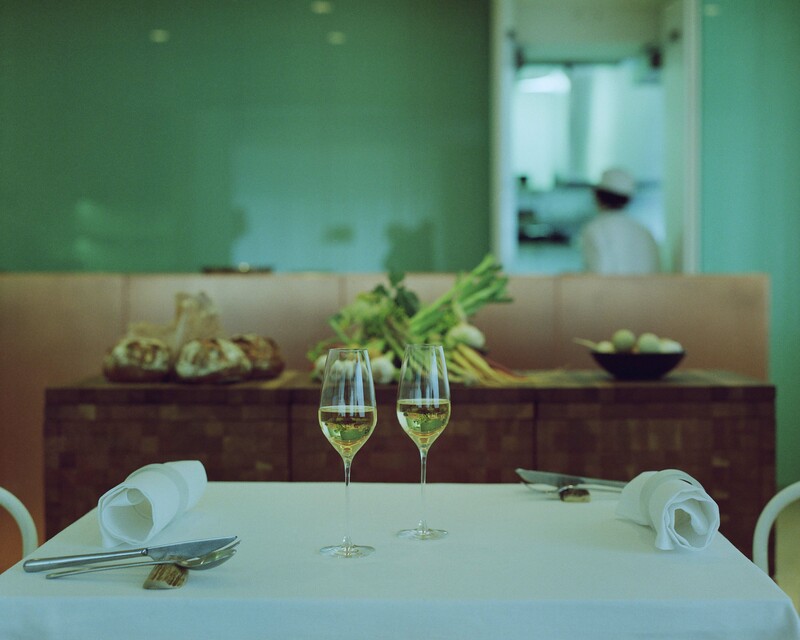 It is closed just enough to allow the champagne to direct the fragrances and aromas perfectly towards the taster’s nose. BOWL WIDTH The maximum diameter of the bowl means an optimal quantity and surface area exposure of champagne to the air. This is the ‘Juhlin line’, the ideal measurement for releasing champagne aromas and fragrances in the best possible manner. PERLAGE POINT & PIQÛE The bowl depth is conceived to favour perlage in the centre of the glass, for perfect tasting. Inside the piqûre, on the bottom, there is a circular ring comprised of numerous small micro-etchings on the glass surface: this is the perlage point.When the champagne is poured into the glass long bubble chains are produced (known as perlage) and the effect is long-lasting. BOWL HEIGHT Perfectly balanced dimensions along the entire height of the glass, both at the bottom, in terms of the depth of the piqûre, and in the angle of the cheminée, i.e. the angle at which the bowl gradually closes. A technically impeccable sha-pe: the generosity of the “Juhlin line” enhances the virtues of champagne, while the significantly taller cheminée ensures the right distance for ta- sting, concentrating the aromas and fragrances of the champagne to the perfect intensity and channelling them harmoniously towards nose and mouth. INWARD CURVE The extreme delicacy of the glass that sinuously coils towards the stem designs a light, gentle cur- ve and gives the RJ Optimum a unique iconic identity. LAUNCH The glass will be sold in launched in Sweden on the 4th december @ Asplund. PRICE Retail price per box of 6: RJ Optimum ‘no line’ end-user SEK 599. RJ Optimum ‘Juhlin line’ end user SEK 659. Interested if I can get the champagne glasses anywhere else than listed on your webpage. Any places in Malmö or Copenhagen?